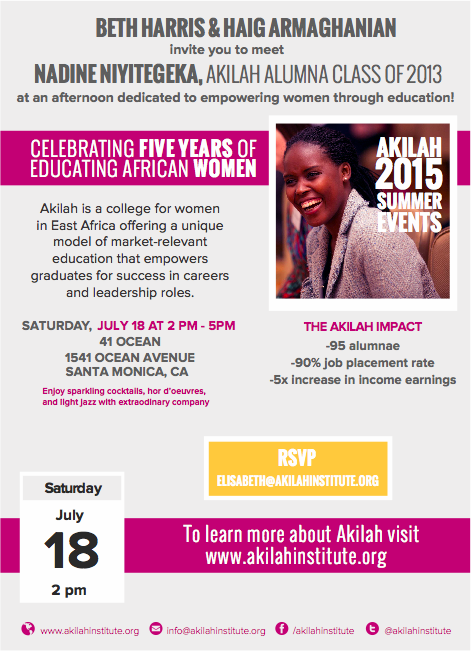 Haig Barrett Celebrates Akilah Institute - Haig Barrett, Inc.
On Saturday, June 18th, 2015, we are celebrating 5 years of the Akilah Institute. 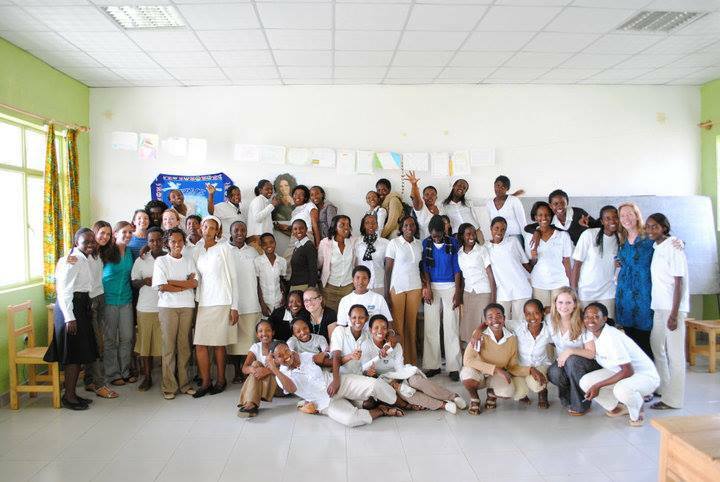 With 550 students on campus in Kigali, Rwanda, Akilah has grown exponentially in just over five years and shows measurable impact. Of 95 alumnae, 90% were employed within six months of graduation, earning incomes five times higher than the national average. Akilah believes that educating women is the wisest and most effective investment a developing country can make. Given a steady income, women typically reinvest 85% of their earnings back into their families, compared to just 30-40% for men. Educated girls are less likely to marry early and remain impoverished, and three times less likely to contract HIV/AIDS. Investing in women has a huge multiplier effect that benefits families, communities, and nations. Akilah fosters economic independence through a skills-based curriculum to meet the needs of the private sector. They offer a three-year Diploma Program aligned with the fastest growing sectors of the East African economy. In their first year, students gain proficiency in English communication, leadership and public speaking, business math, and information technology. Over the next two years, students gain practical experience and the industry-specific skills that employers seek in one of three areas of study: Information Systems, Entrepreneurship, and Hospitality Management. Students graduate ready to launch leadership careers, build their nation’s economies, and reinvest in their communities. Akilah’s employment partners (over 60+ and counting) have lauded graduates for their self-confidence, initiative, and advanced communication skills. Their alumnae have moved on to become change agents in their communities, entered the growing tech, hospitality, and entrepreneurship sectors, and started their own businesses. To attend, RSVP to Elisabeth@AkilahInstitute.Org.